For many years, connoisseurs have been arguing over who makes the perfect macaron. For what is ‘merely’ a moreish concoction of egg whites, sugar, ground almonds and icing sugar has become something of a massive cult food item among patisserie lovers in recent times. Some would argue that this exquisitely formed, bite-size ‘meringue sandwich’ finds its apogee in Ladurée, the reputed founder of the modern-day macaron. Others say that that house is decidedly passé, preferring instead the chic and diverse array of divine patisserie from leading competitor Pierre Herme. But whichever brand you favor, what is undeniable is that this very fashionable item boasts a long and complex history; the modern day version, formerly known as the macaron Parisien, traces its origins back to the 19th century. Yet historians note that there are references to an almond based pastry as far back as the Renaissance period when almonds were taken from Syria to Europe and eventually became a staple food in Italian kitchens. In fact, they have been a staple of Venetian monasteries since the 8th century. Indeed the word macaron has its origins in the Italian language, originating from the word macaroni or maccherone. Of course, historical versions of macarons were quite different from the delicious treat we know and love today. Legend states that two Carmelite nuns who were seeking asylum in Nancy during the French revolution sold macarons in order to support themselves. At that time, a maracon was basically a single almond based cookie, rather than a complex creation and there was no filling involved. However, the most important landmark moment for the macaroon was arguably during the 17th century, when almond macarons were served to the French King Louis XIV at the Palace of Versailles. Then in the 19th century, a now legendary gastronomy house was established, known as Dalloyau, who produced macarons for the King. They looked after successive Monarchs until the reign of Louis XVI and his Austrian wife Marie-Antoinette ended during the French Revolution, and their subsequent execution. As to who created the macaroon ‘proper’, well that is open to some debate. Traditionally, it is accepted that from the 1830s, macarons were served as a sandwich with the addition of other elements although the man credited with creating the modern-day version is Pierre Desfontaines, whose ancestors owned the luxury patisserie firm Laduree in Paris. However, others argue that the true founder was Claude Gerbet, another patisserie baker of the period. This would also seem to make sense, as the macaron was known as a Gerbet among the Parisians elite of the time. What is certain though, is that the recipe laid out in the early 20th century remains largely unchanged today. A skilled pastry chef will combine icing sugar, ground almonds and egg whites together into a paste, before adding a meringue mixture, composed of eggs whites, sugar syrup, and different food colors. The mixture is then put through a piping bag to create mini meringue cookies and baked, before being left to cool. It is then sandwiched together with a wide variety of fillings, including chocolate ganache, buttercream, and jam. And while aficionados may argue over who is the greatest purveyor today of macarons, all agree that the perfect example should have a wafer-thin crust, which gives way to a meltingly soft and chewy interior, finally arriving at a sweet or savory filling to complement the outer meringue. Above all else, it should not be too sugary, but a great macaron is incredibly moreish and should never hang around long! 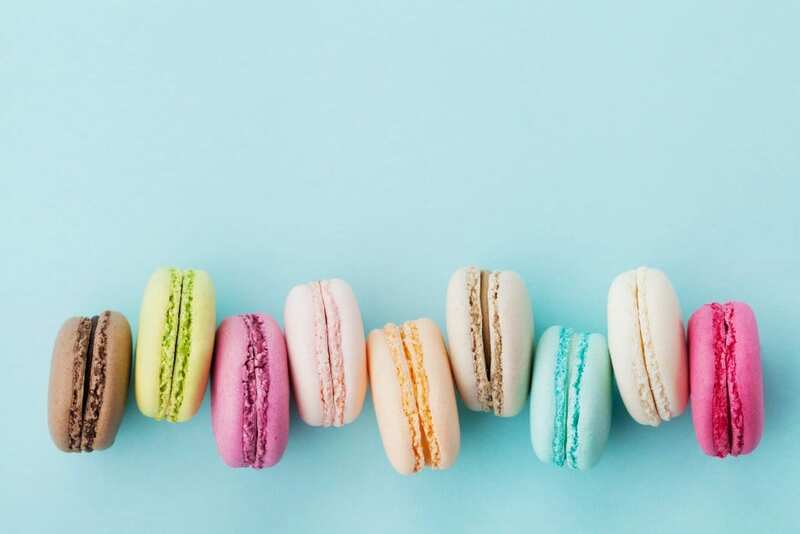 Today, macarons are still very much in vogue and are available in a wide variety of flavors, with regional versions to be found in the US, Switzerland and even Korea. Some of the most popular flavors include orange, chocolate, blueberry, coconut, pistachio, honey, almond, and caramel. More unusual combinations are pumpkin, maple bacon, peach Champagne and even salted pretzel. In addition, patisserie chefs will adapt flavors to suit the seasons, so expect refreshing mint and jasmine in summer, while winter delights might include chestnut and cinnamon. 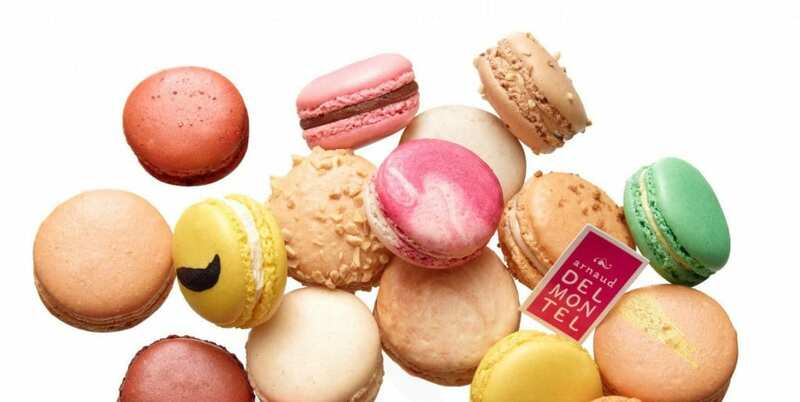 The US remains the country where the macaron reaches its experimental vanguard and several leading chefs have championed macarons over the past 15 years to American consumers. Of course, its spiritual home will always be the City of Light. 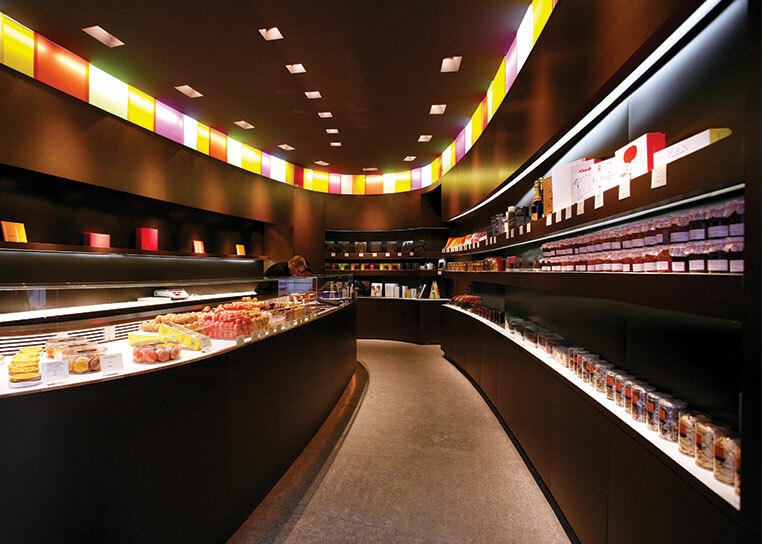 Paris boasts several world-renowned luxury patisserie brands, which compete for the title of finest macaron producer. Laduree has been synonymous with superlative, quintessential macarons for decades and remains one of the most popular choices in Paris for tourists to visit. Critics may argue that it’s been superseded by newer, more inventive brands, but there is no denying that for the consistency and quality of their patisserie, Laduree is hard to beat. In fact, it’s delightful, pastel-colored gold detailed gift boxes have become as famous as the sweet patisserie inside. 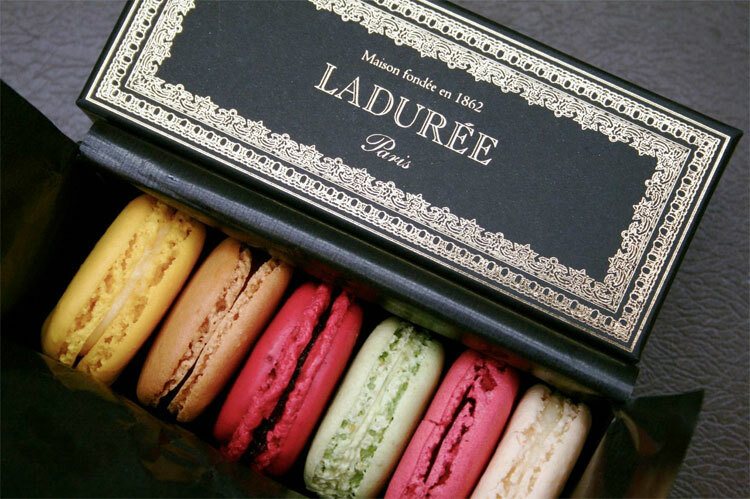 One for the purists, Laduree is an essential part of any visiting gourmet’s itinerary. Master craftsman Pierre Herme is something of a legend in the world of patisserie. After honing his craft at rival houses Laduree and Fauchon, Herme opened his own business to great consumer and critical acclaim – Vogue called him the “Picasso of Patisserie.” The selection of macarons and other treats is superb, as is the service from his team of friendly, multi-lingual staff. Expensive, but so worth it! 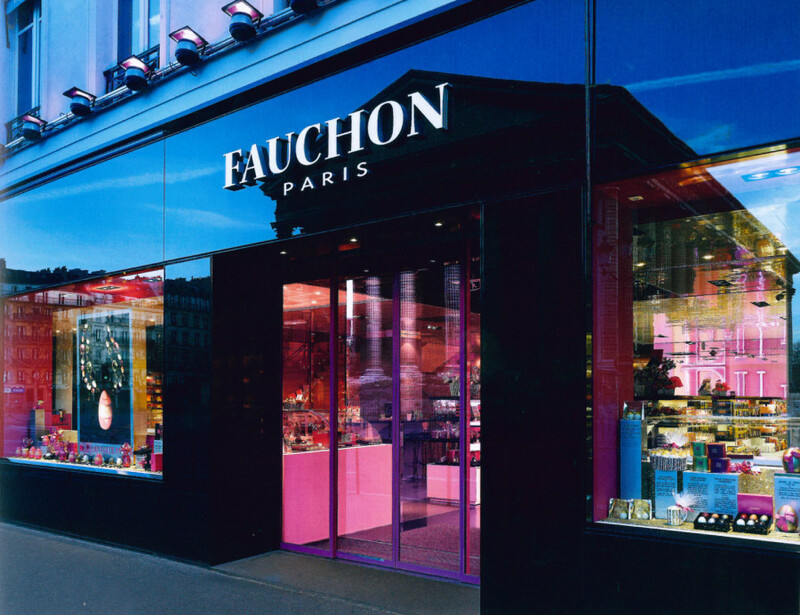 Founded at the end of the 19th century, Fauchon has remained an iconic landmark of luxury French gastronomy through the ages, like everything else on offer, its macarons are to die for and are the stuff of legend for visiting tourists. Try the chocolate pistachio. Arnaud Delmontel dares to do different. His three delightful shops serve an amazing variety of macarons, paying homage to both the classics and more esoteric varieties such as apple, Champagne, rose petal and even lychee. Much loved by connoisseurs who are tired of the tried and tested experience, Arnaud Delmontel really is a unique Parisian delicacy. It soon becomes apparent, when you wander the streets of Paris, that its inhabitants have a real and multilayered affection with chocolate and patisserie in all its forms. 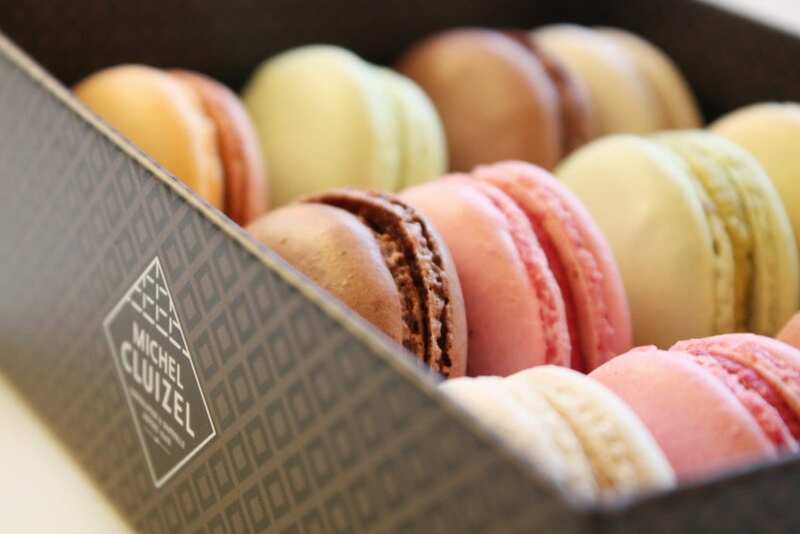 And one of the finest places to sample these sweet delights, as any Parisian will tell you, is Michel Cluizel. His has made patisserie an art form, as any devotee of his gorgeous macarons can testify. There’s a wide range of flavors but we’d plump for the chocolate variations every time. For this is a serious chocolate lover’s paradise.